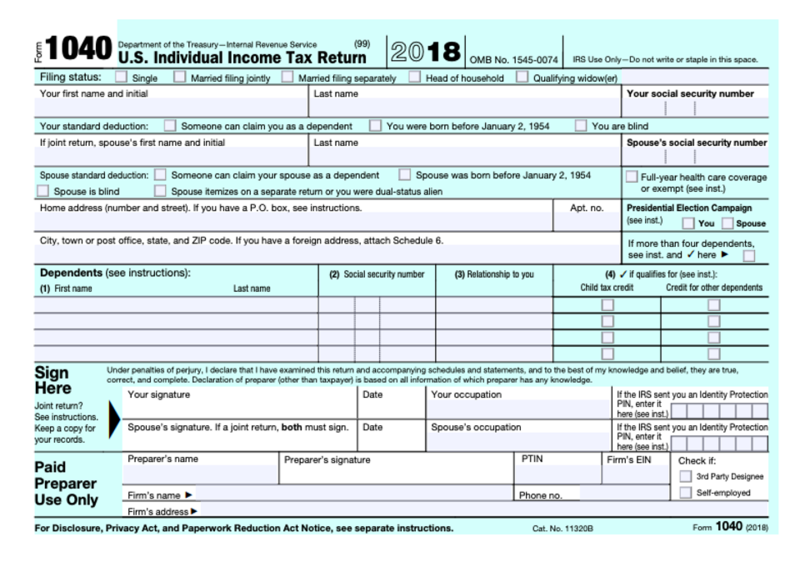 So, when lawmakers vowed in 2017 to simplify the tax code, one of their targets was the good ‘ol IRS Form 1040 pictured above. There was much hoopla about making it so taxpayers could file their taxes on something about as big as a post card. Well, the new Form 1040 is smaller than it’s predecessors. But will it make the filing process more simplified? We don’t think so. Read on to see why. More Schedules. The new Form 1040 replaces the former Form 1040 as well as the Form 1040A and the Form 1040EZ. The new Form 1040 uses a “building block” approach, in which the tax return is reduced to a simple form. That form can be supplemented with additional schedules if needed. Taxpayers with straightforward tax situations would only need to file this new 1040 with no additional schedules. But what if you do need one of the additional schedules? Well, just know that there are six new schedules to accommodate this approach. What are these new schedules? Schedule 1 Additional Income and Adjustments to Income. This schedule is used to report all of the income that was reported on lines 10 and 21 of the 2017 form. This includes income from Schedule C (business income), Schedule D (capital gains and losses), Schedule E (supplemental income and loss from rental real estate) and Schedule F (farm and ranch income). It also includes the reductions to income that that were formerly reported on lines 23 to 35 of the 2017 form. Schedule 2 Tax. 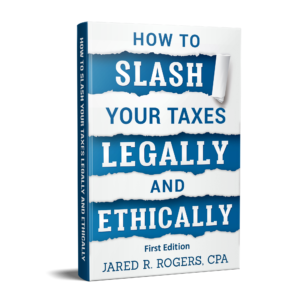 This schedule reports lines 45 to 47 of the 2017 form 1040, including the tax, alternative minimum tax and any excess premium tax credit. Schedule 3 Non-Refundable Credits. This schedule contains lines 48 to 55 of the 2017 form, including education expenses, child and dependent care credit, foreign tax credit, retirement savings plan credit and child tax credit. Schedule 4 Other Taxes. This schedule contains lines 57 to 63 of the 2017 form, including self-employment tax, additional tax on IRA and retirement plan withdraws, household employment tax and the individual responsibility payment for not having health care. Schedule 5 Other Payments and Refundable Credits. This schedule contains lines 65 to 74 of the 2017 form, including estimated tax payments and amounts applied to the next year’s return, earned income credit, additional child tax credit, American opportunity credit (the amount of the education credit that is refundable), amount paid with a request for extension and several other credits. Schedule 6 Foreign Address and Third-Party Designee. This schedule is used to report your foreign address or if you would like the IRS to be able to discuss the return with a third party (e.g. your paid preparer). Why Was This Done? Keeping politics out of the conversation, we believe that this switch was done to fulfill a campaign promises. Why so? The new building block approach doesn’t actually simplify anything. If anything, it makes one have to look at additional forms/pages when one only had to formerly look at a two page document (i.e. the old “long form” 1040) to see it all. Only around 13% of tax returns are file via paper as opposed to being e-filed according to the IRS statistics. With that being said, who really cares if the Form 1040 is the size of a postcard? Most people who file are using software! Schedules 1 through 6 are additional to the ones that existed prior to 2018 (e.g. Schedules A, C, D, E, F, H, SE and 8812). While taxpayers can ignore them if they don’t have any lines on those schedules to fill out, they still might have to review them to determine if they are required. Simplification? We’re not so sure. The Result? While the new form is shorter, we can’t say that it will be easier for taxpayers to understand. We have already started preparing 2018 returns and we can say that it makes it “slightly” more challenging to review. Most professional software has a view/comparison mode/worksheet that allows us to analyze variances to ensure nothing is missed. But we can say that the building block scheme takes a little extra work. To that end, don’t expect it to cost you any less to have your “simplified” tax return prepared when compared to years past. Most paid preparers, if anything, are actually raising their prices to accommodate the extra forms and other changes such as the 20% QBI deduction. This entry was posted in Tax Talk and tagged 20% pass through deduction calculator, 20% Qualified Business Income Deduction, 2018 Form 1040 Schedule 1, 2018 Form 1040 Schedule 2, 2018 Form 1040 Schedule 3, 2018 Form 1040 Schedule 4, 2018 Form 1040 Schedule 5, 2018 Form 1040 Schedule 6, Form 1040 2018, How do I get an IRS 1040 form?, how many individual tax returns are file each year?, how many people e-file, how many tax returns were filed in 2017, how many tax returns were filed in 2018, IRS e-file statistics, IRS postcard 1040, Is the new 1040 available?, Is the new 1040 more simple than the old one, percentage of tax returns filed electronically, Understanding The "New" Form 1040 on January 27, 2019 by Jared R. Rogers, CPA.